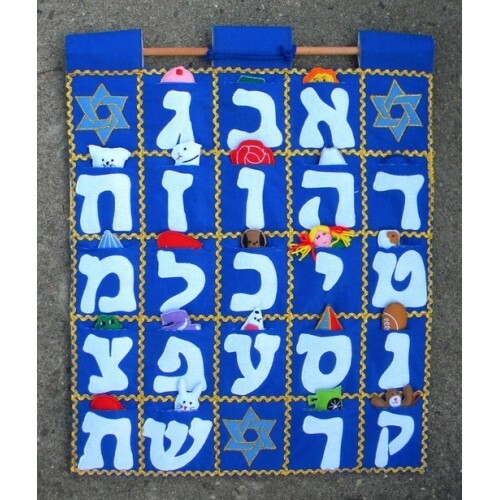 21.5" high x 17.5 " wide; Embroidered Fabric Aleph Bet Wall-Hanging is suspended by a wooden rod with hanging cord, and includes 22 colorful pieces, each corresponding to their individual letter pocket. Included is a chart to help in translation & a reminder to read Hebrew letters right to left. *** Note: If you lose a piece to your Pockets of Learning product, call 1-800-635-2994 and it will be replaced for free.